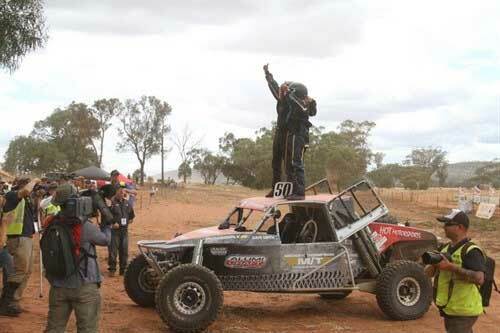 The ARB Australian Off Road Racing Championship is back this year, kicking off this weekend at Griffith. The Championship boasts six rounds; as Mickey would say, get ready to 'STAND ON THE GAS'. The ARB Town and Country Tyres Stackpoole 400 entry list is filled with some great competitors and vehicles. 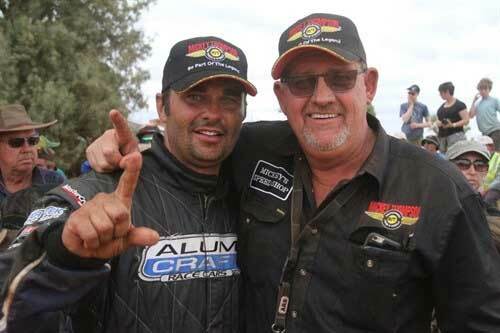 Last year’s winner, Team Mickey Thompson’s Andy Ryan, is keen to defend his title on his home track and has been working hard in the off season with a few adjustments made to the 1JZ Toyota powered AlumiCraft. “We expect a few will be keen to chase him down like Glenn Owen, Aaron James, Raana Horan and Talbot Cox just to name a few and all on the race proven Mickey Thompson MTZ P3”. Other classes will be going just as hard such as Class 1 Jason Richards, Class 2 Daniel Wells, Peter Hunt, Rhett Standen, Class 4 Peter Sibson, Michael Denham and Class 5 Darran Vanderwoude and Stephan Watkins, all out to #STANDONTHEGAS. “I grew up around off road racing. My Dad was an Australian champion in ’84. I’ve been racing since I was 20 years old, and on and off since then for the last 20 years. I race on the MTZP3s, and the biggest difference I’ve noticed between Mickeys and the other brands I’ve tried is the grip, especially around corners. Mid-way through a corner you can feel the sidewalls doing their job. They hook up and get you going again, which really improves your cornering speed. We also use the all-terrains at home on the farm, and my wife has them on the car she drives to town. We’ve never had a puncture on Mickeys, and the conditions out here are tough. With other brands we were getting one or two punctures a week as soon as the tread was a little worn. The beauty of Mickeys, is that you can wear them down to the canvas and you still don’t get punctures” Andy Ryan, races on MTZP3s.